Deputies recently swarmed a suburban Delray Beach neighborhood, the Palm Beach County Sheriff's Office put its chopper in the air and called out its SWAT team. Then they learned they were responding to a fake 911 call. It's called "swatting" and it happened Wednesday. The 911 caller said there was a stabbing and a hostage situation. It turns out the day before the Broward County Sheriff's Office received a similar call and now the two incidents may be connected. "We had to deploy a lot of resources down there including putting a SWAT team in that direction. 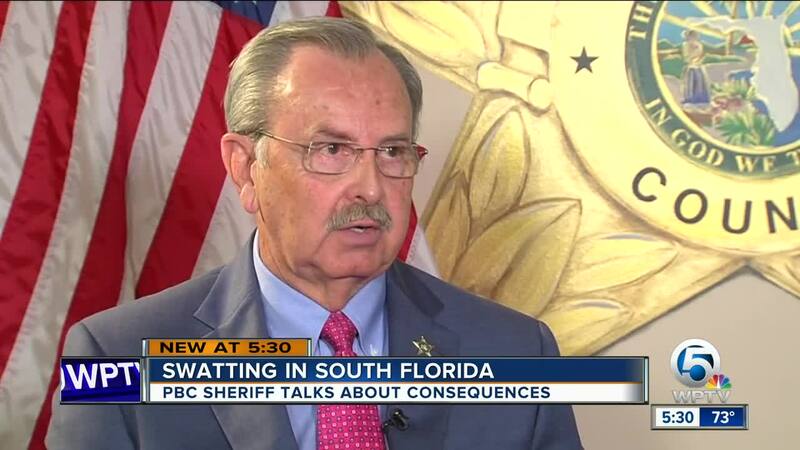 Turned out, it was a fake call," said Palm Beach County Sheriff Ric Bradshaw. Sheriff Bradshaw said there's no way to tell if it's real or fake when you get the call, you move and get in place. "This is not an unusual phenomenon, it's called 'swatting.' We've had them before, we don't get a terrible amount of them, but it does create a lot of usage of resources," said the sheriff. The Broward County Sheriff's Office faced a similar fake call on Tuesday morning. The target of the 'swatting' call was Marjory Stoneman Douglas High School's student activist David Hogg's home. Then, on Wednesday the Palm Beach County Sheriff's Office got a fake 911 call to another activist's home in suburban Delray Beach. "I don't think it was a coincidence. I think it was somebody who for whatever reason feels threatened by the activity and political action of the students," said Jeffrey Kasky, whose home was the target of the swatting call Wednesday. Kasky said his som Cameron works with David Hogg to get young people to register to vote. He and his son were on a plane at the time of the SWAT call, but there were people home. "It's a little bit shocking, but they're OK," added Kasky. Sheriff Bradshaw said his department takes these incidents very seriously. "If we find out who calls those in, we're going to arrest them for making a false report of a crime number one and number two, if it happens to be a juvenile then we're going to start seeking to get back what the expenditure was for those resources from the parents of the juvenile which could be in excess of $100,000 thousand." The person who makes the swatting call could also be liable if someone gets hurt during the response. 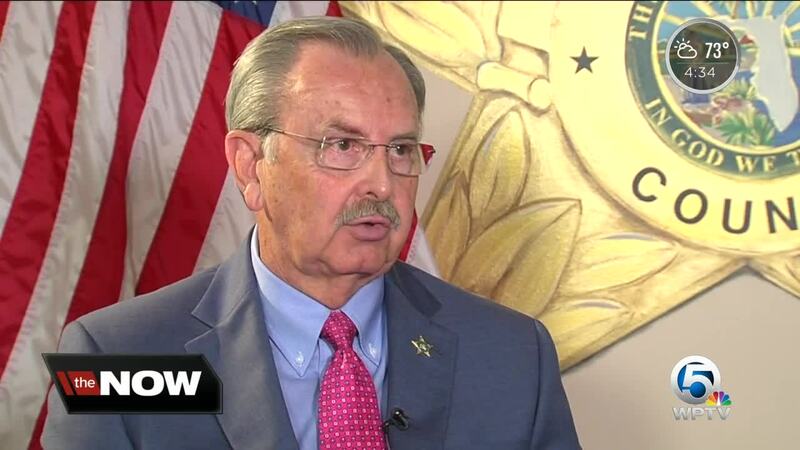 "Because we take these seriously and because the person purported to be armed could get hurt; cause we're going to deploy our resources like this is the real thing, like somebody in there has a firearm," said the sheriff.